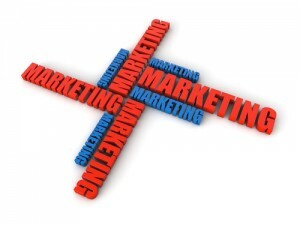 This week, on the Synergy Marketing Blog, it’s been all about advertising. To be specific, low-cost advertising is the name of the game. Coming off a weekend when the most elaborate and expensive advertisements were getting a lot of attention – thank you Super Bowl 50! – we found it important to highlight the fact that not all business owners require big budgets in order to promote their brands. 1. Write an editorial-style ad for a local newspaper. Content marketing is huge these days. Maintaining a regularly-updated blog on your site helps to encourage online users to keep visiting your site. A blog helps you to showcase your expertise in your field, giving people stronger impressions of your reliable and trustworthy nature. On SmallTownMarketing.com, Tom Egelhoff suggests that you take things a step further by offering your expert advice to columns you submit to local newspapers. “Try an editorial style ad,” he encourages, “These are ads that look like actual stories in the newspaper. They will have ‘advertisement’ at the top of the article. Develop a good headline, and 50% more people will read the article than would read an ad of the same size.” This will enable you to cleverly advertise your brand in a media source that generally charges a lot for standard ad space. 2. Give YouTube a go. In yesterday’s blog, we championed the cause for social media advertising. It wasn’t the first time, and it certainly won’t be the last. It’s free to use such platforms and Facebook and Twitter to advertise your business. But they don’t stand alone as social networking sites that allow business owners to market their brands. Online users just love to watch videos. So you may want to start up your own YouTube channel to upload your own. “Given that YouTube is the world’s second largest search engine, create a YouTube Channel and leverage proven video marketing tactics, like ‘how-to’ style video content and response videos to improve search visibility and potentially drive leads,” advises Ken Lyons on SearchEngineWatch.com. He highlights this tip as one of the many free ways a business owner can market his or her business. 3. Plan for rainy days. It’s always a good idea to have a bit of a financial cushion when it comes to your advertising budget. Different opportunities to advertise your brand may pop up without a moment’s notice and you’ll want to be in a position to take advantage of them. As well, unexpected emergencies may arise and you’ll need that extra dough to handle them. Egelhoff sheds some light on this reality. 4. Hand out promotional gifts. Of course, you can never forget about the almighty promo gift. Among the most effective and cost-conscious methods of growing your brand, promotional products are must-haves! To place your order for the promo gift of your choice, call Synergy Marketing at 1-877-748-9884 between 9am and 5pm EST or email us at info@gosynergygo.com! You can also sign up for our Insider E-Flyer Program HERE!